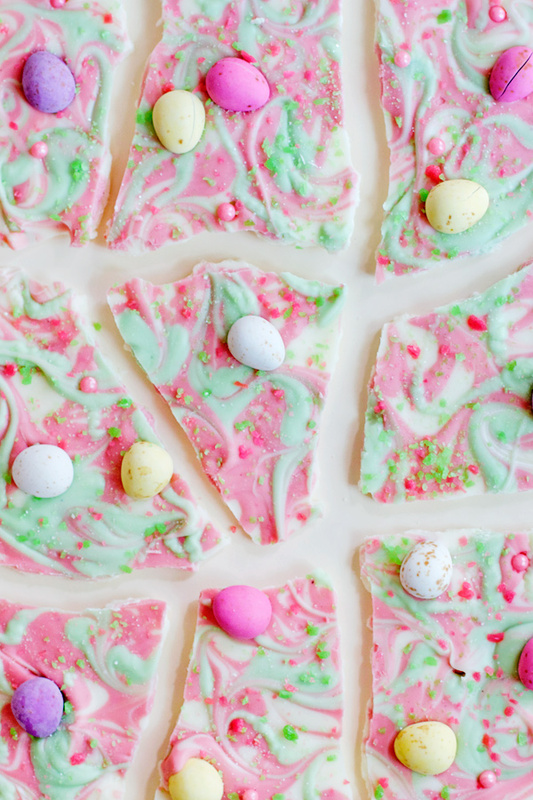 This is a super easy and fun Easter recipe that makes a great present. It was my first time marbling chocolate and I must admit I over mixed it in excitement and it ended up looking slightly like a psychedelic acid trip. With edible glitter! 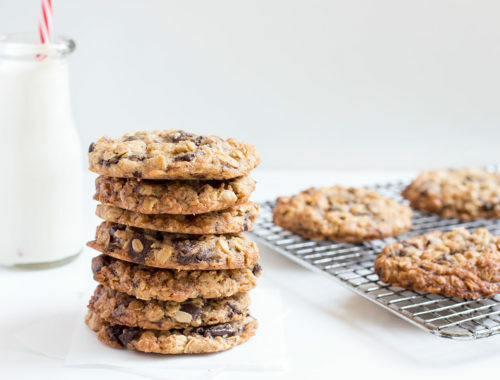 It’s an incredibly flexible recipe that you can tailor to suit your tastes. 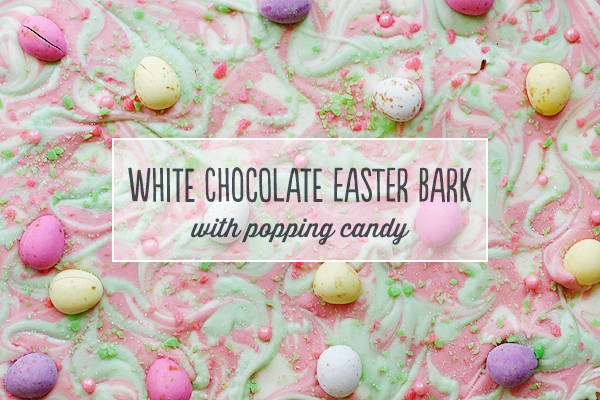 But popping candy makes a VERY fun addition to this Easter treat. Don’t like white chocolate? Use dark or milk. Like the salty contrast? Smash up some pretzels and stir them in. 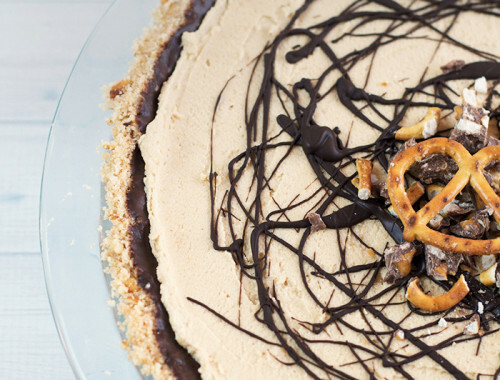 For a more decadent twist, swirl in some salted caramel or throw in a handful of chopped Cadbury Creme Eggs. Heaven. Separate your white chocolate into 3 bowls - I left 60% as plain white chocolate and dyed 25% pink and 15% green. Heat each bowl of chocolate individually in the microwave in short bursts until melted and smooth. Gradually add in the powered dye and stir well until you have achieved your desired colour(s). Pour the white chocolate onto the lined baking tray and smooth out with an offset spatula. Drizzle the coloured chocolates over the white chocolate and swirl with a skewer until you achieve a nice marbling effect. 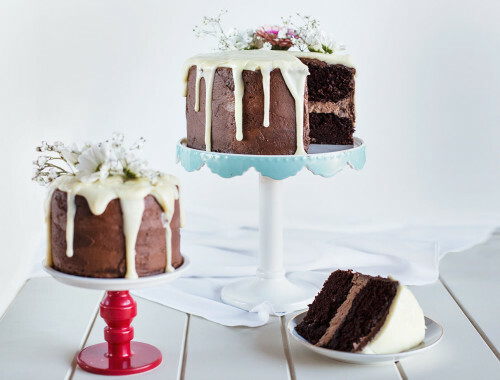 Quickly sprinkle over your Easter eggs, popping candy and any edible decorations you like before the chocolate starts to cool. 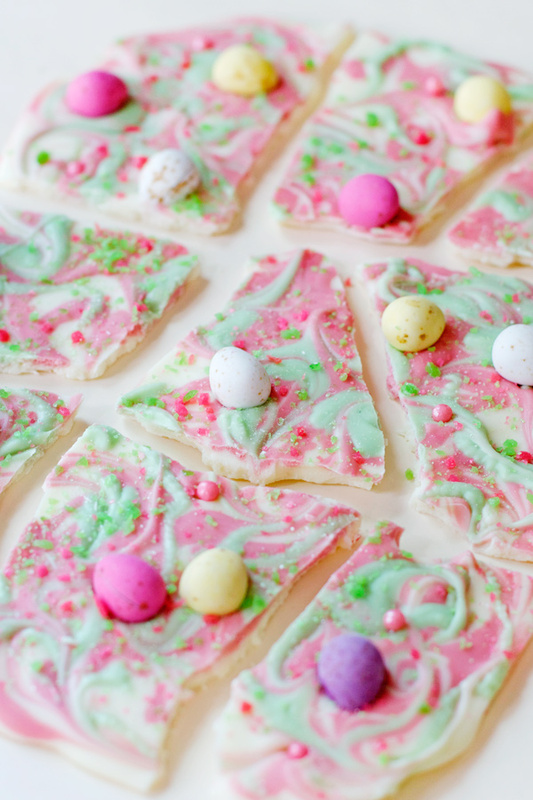 Wait until the Easter bark has completely hardened before snapping it into pieces. * I used this powdered dye from Robert’s Confectionery to colour my chocolate. Did you make any of your Easter presents this year?